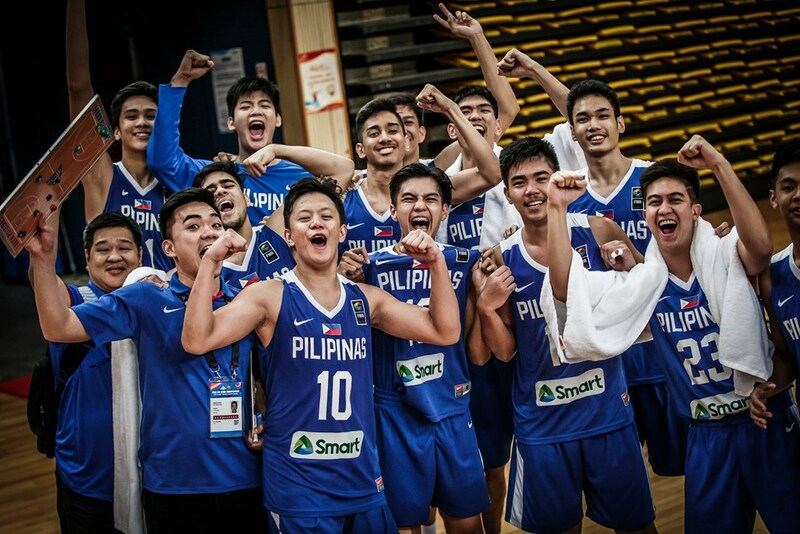 Batang Gilas was branded as the tallest team the country has sent in a youth competition. It’s been the dream for fans to have a team THIS tall. Three players who are 6’7” and above, then a bunch of other players who are 6’4” and above. This did not have the make-up of your usual Batang Gilas team. This length was something new to the youth team we’ve followed so closely for the past few years. 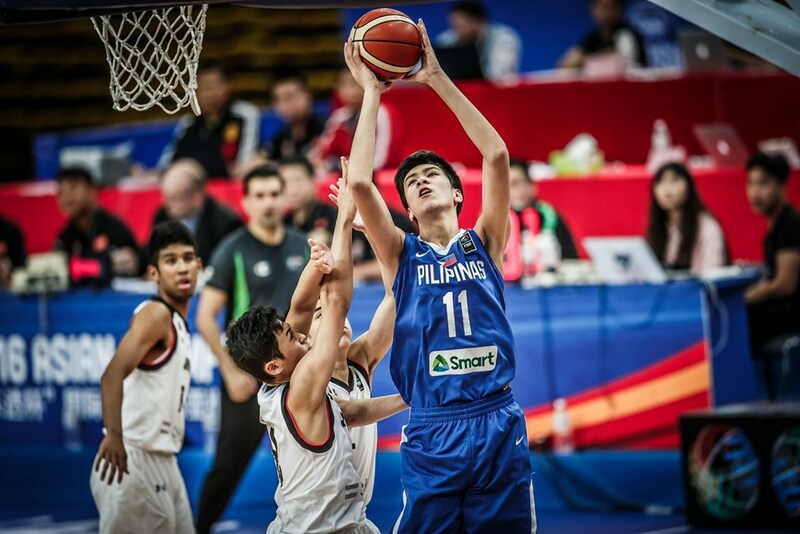 At the core of this Batang Gilas team is Kai Sotto, the 7’1″ Kaiju who’s been scrutinized to the hilt ever since he started playing in Metro Manila. Some looked at him as the future of the country, a reasonable projection. Others were doubtful, calling him soft, unskilled and just tall. The same could be said for his fellow giants Geo Chiu and Raven Cortez. During the early goings of the tournament, it was easy to swing towards the side of the doubters. 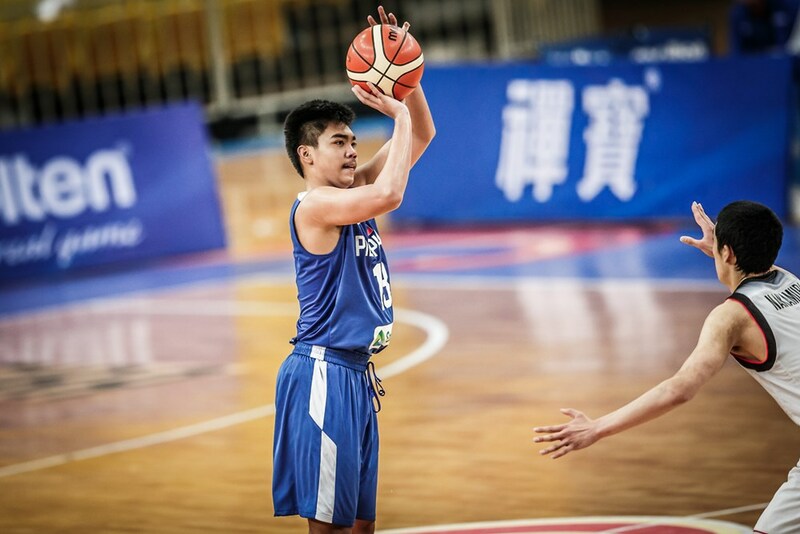 Kai put up 12-16-4 versus Malaysia, but that was to be expected against a team from the SEABA region. Where the bigs’ weaknesses were really magnified was versus Australia. Kai and Raven had difficulty handling the heft and athleticism of the Australians, and it led to a blowout loss for Batang Gilas. Coming into their do or die game versus Japan, it was clear what Batang Gilas’ advantage was: height. This was weird, and new ground for Batang Gilas. Not just for the fans, but even for the coaches. Immediately, Batang Gilas pounded the ball to Kai in the post. This meant larger responsibility for the bigs, unlike before where most of the pressure was put on the guards. It was a challenge, but it was something Kai was clearly more than glad to embrace. But Japan would not go out without a fight. They kept on throwing double teams, with the amount of pressure on each double increasing with every possession. Cuts and flashes to the rim were no longer enough. Critics now had something else to point out as Japan made their rally. A number of shooters have passed by the Batang Gilas program. To make up for their lack of length and size down low, they made up for it by stretching the floor with their shooters. The 2013 team had Jolo Mendoza and Jollo Go, while the 2015 squad had the likes of Dave lldefonso and Juan Gomez de Liano to make life easier for the slashing guards of the team. This 2018 version, however, has not found that guy yet. RC Calimag was viewed for the get-go as the main wing Batang Gilas would have on the offensive end. He was a born scorer who had a knack for making buckets and getting hot in an instant. However, to start this year’s U16 tournament, he couldn’t find his groove. He was a dismal 26 percent from the field, and managing to make just 25 percent of his shots from three-point land for his first three games with Batang Gilas. To say he was struggling was an understatement. He wasn’t providing the necessary floor stretching the team needed so badly as Kai and Raven attracted all the attention in the rim. But if there’s something shooters are taught, it’s to never stop shooting. You can never feel down about your shot, because the only way you can find your groove is to keep on shooting. You have to #ShootYourShot, because #ShootersGonnaShoot. RC was a shooter. And he was willing to shoot his shot. Against Japan, with all of the attention put on Kai in the post, RC broke out and helped out the team’s big man by doing what he does best — scoring. He didn’t hesitate when his number was called. 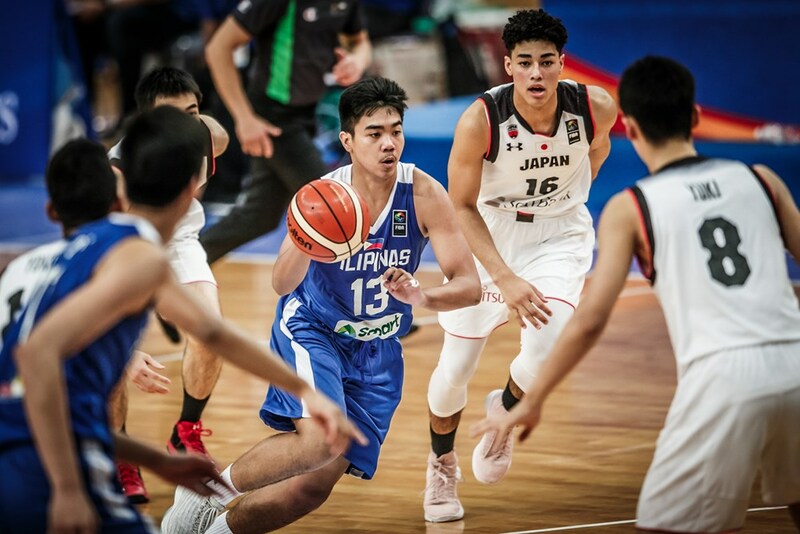 Batang Gilas had the blend to beat Japan. Their size was clicking, so was their offense from the wings. But Chikara Tanaka played like a man possessed in the fourth quarter, and led Japan’s uprising to try and come back versus Batang Gilas. There was only 26 seconds left on the clock. The score read 70-70 with Batang Gilas holding possession. Was it 26 seconds from making a basket and booking a ticket to Argentina, or 26 seconds from proving the last doubt haters had with this team? It could have been Forthsky Padrigao. He was the ace playmaker with passing ability and range for days. It could have been Terrence Fortea. He was the elite creator who was bound to breakout after a sub-par performance during the group phase. Japan expected Kai. He was an absolute monster all throughout the game, and they had no answer for him. But it was neither of those players. The ball went to RC at the top of the key with nine seconds left on the clock. He dribbled the ball left. Switched right. Drove hard. Japan was shook, as they did not expect this to happen. They had sent practically three defenders at Kai, expecting Batang Gilas to dump the ball to him to either pass it to the post or to swing the ball to the perimeter. But instead, they were faced with a different conundrum: allow Calimag to drive to stay at Kai, or to collapse and give Kai space to receive the drop pass? No time to think. Just react. Japan chose wrong. Batang Gilas chose right. The difference in decision made the difference. One is staying at home. The other is going to Argentina. To be clear: This win doesn’t mean the doubters will be silenced. Others are still criticizing Terrence and Forthsky, while others call Kai and RC’s performances as luck. Maybe Batang Gilas did get lucky, getting to face a Japanese team they had an advantage against in the Quarterfinals rather than a Korean team that had wing depth that could kill. But luck favors the prepared. Ever since 2017, Batang Gilas has been preparing for this moment. In preparing for it, they faced numerous doubts, not just from outsiders, but also from themselves. Could they really make it to the World Cup once again? Was this raw group ready for the big stage? They were. They delivered. There’s zero doubt: Batang Gilas is headed to Argentina to play in the FIBA World Cup. No one, not even the haters, can question that.